Meadowood condos are located in Warminster off Street road and Valley road. There are 1, 2 and 3 bedroom units. They have a swimming pool in the community. There are other homes available. 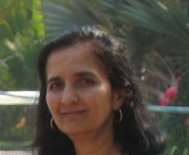 Call Gita Bantwal at Re/Max Centre 2153438200x124 or look up all listings on www.gitabantwal.com. It may be cheaper to own than to rent in Meadowood condos. Guardly, an app for your smart phone a great safety tool. Windrush townhomes in Jamison Central Bucks school district.